Tim McKee is Triplett, Woolf & Garretson, LLC’s senior energy, natural resource, and regulatory attorney, having served as a Commissioner and Chairman of the Kansas Corporation Commission (KCC). Since the early 1970’s, Mr. McKee’s legal practice has focused on representation of business clients in litigated and regulated matters involving oil and gas, natural resource, and utility issues. In his private practice, Mr. McKee has made numerous appearances before the KCC and handled both litigation and regulatory matters for both exploration and production companies, pipelines, as well as telecommunications companies and municipal governments. He has appeared as an expert witness on natural gas and gas gathering issues. Mr. McKee, a Wichita native, received his B.A. from Wichita State University in 1965, served in the Peace Corps with his wife Barbara in Brazil from 1965-1967, and received his J.D. from the Washburn University School of Law with honors in 1970 where he served as an editor of the Law Journal. 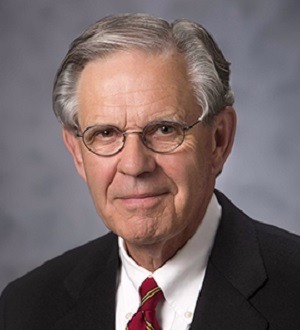 Mr. McKee began his legal career in Wichita in 1970 and became one of the founding partners of Triplett, Woolf and Garretson, remaining with the firm until his appointment by Governor Graves as a Member of the KCC in 1995 both as a Commissioner and later as Chairman. He rejoined Triplett, Woolf & Garretson in 1998. Mr. McKee served on the National Association of Regulatory Utility Commissioners’ Committee on Natural Gas and the International Ad Hoc Committee. He also served as Kansas’ official representative to the Interstate Oil and Gas Compact commission and organized the IOGCC’s Committee on gas gathering regulation. As KCC Chairman, Mr. McKee was a member of the gas gathering task force created by the Kansas Legislature to study and recommend policy for Kansas with respect to gas gathering legislation. He was the spokesman for the KCC’s effort to establish a system of open access to gas gathering lines for all producers in the State, while minimizing, through as “light handed” regulation as possible, the burden on the gas gathering industry, which supported his efforts. In early 2006, Mr. McKee was appointed to the Kansas Electric Transmission Authority (KETA) by then Governor Kathleen Sebelius and confirmed by the Senate. He has since been reappointed and confirmed to a second four-year term. In addition to service in the Peace Corps in the late 1960s, Mr. McKee has been involved in numerous civic and charitable affairs, having served as President of the Board of Rainbows United, the Mental Health Association of South Central Kansas and currently serves as a board member of Kansas Big Brothers Big Sisters, Inc. and as a board member of the Kansas Health Foundation. Mr. McKee serves on the Wichita Bar Association’s Ethics and Grievance Committee. Mr. McKee is a member of the Rocky Mountain Mineral Law Foundation and has been a frequent presenter at numerous seminars dealing with natural resource and energy law. He served as the Chairman of the Oil, Gas and Mineral Law Section of the Kansas Bar Association for 1995-96 and been a presenter at various Bar Association programs. Mr. McKee holds the Martindale Hubble law directory’s highest AV rating for attorneys.